Is there a place for slow medicine in your life? Today, we would. 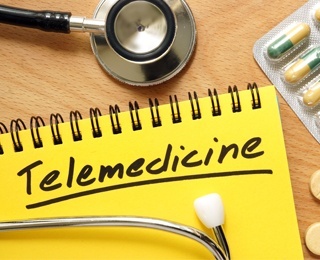 Telemedicine is the remote diagnosis and treatment of patients using a smartphone, tablet, desk computer or other telecommunications technology. More than 15 million Americans received some kind of medical care remotely in 2015, expected to grow by 30% in 2016. 72 percent of hospitals and 52 percent of physician groups offer telemedicine programs. Chronic illnesses, such as diabetes and high blood pressure, require regular monitoring, which in the past, meant frequent doctor visits. Now, if the provider offers remote care and the patient is willing to use the service, many of the visits can be replaced with telemedicine. “While physical exams are important at first, 90 percent of what a physician uses to provide care comes from your health history. After that conversation, your doctor often can provide care through telemedicine exactly as he or she would in at an office visit,” says Cleveland Clinic family practitioner Dr. Mark Rood. In addition to monitoring chronic illness, telemedicine is also helpful for follow-up care from orthopedic procedures and some mental illnesses, such as depression and anxiety, Rood adds. Telemedicine is also popular for cardiac patients. Nearly 1 million Americans use remote cardiac monitors, the ATA reports. medical education for healthcare professionals and targeted groups. My mother certainly enjoyed the convenience of having her pacemaker checked from the comfort of her bedroom, but there are other benefits, including cost. “Telemedicine has been shown to reduce the cost of healthcare and increase efficiency through better management of chronic diseases, shared health professional staffing, reduced travel times, and fewer or shorter hospital stays,” ATA reports. For instance, an on-demand consultation costs around $45 compared to $100 for a doctor’s visit, $160 at an urgent care clinic and $750 and up at an emergency room, according to The Wall Street Journal. For people living in remote areas with limited access to health care, telemedicine might be the only way to ensure necessary monitoring. Talk to your physician about any concerns before agreeing to telemedicine. Find out what symptoms and routine monitoring for your disease are best suited for office visits and when telemedicine would be appropriate. Check with your insurance provider to make sure telemedicine consultation is covered. Make sure you have the necessary technology equipment and are comfortable using it. Have contact information handy should you run into an equipment glitch or power failure. Your health is important to us at Kendal at Oberlin. It’s the reason we provide information about health issues of concern to residents. We offer the facilities, equipment and training to encourage residents to maintain a healthy lifestyle. To learn more about how Kendal at Oberlin supports our residents’ active lifestyles, contact us.